Marie Eklund is an artisanal woodworker based in Sweden. She creates unique handmade objects that embody a pure expression of the art of carving. 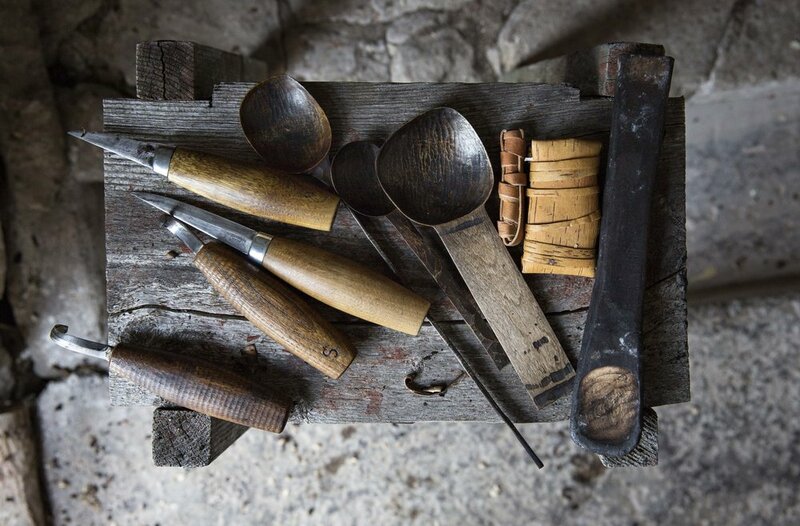 Best known for her intricately crafted spoons, Marie works with minimal tools, using nothing but her axe and carving knife to create impossibly refined surfaces. She works intuitively, drawing something distinctive out of each piece. She seeks to create objects that are deeply connected to their state of origin, and mobilizes natural processes and materials to create patinas that evoke the rich colors of the earth. Marie achieves a rare originality of form that evidences the singularity of her vision and the virtuosity of her craftsmanship. Radnor is pleased to represent her work in the US.